As mentioned on my welcome page as one of the Top Ten reasons why I like living in Japan, travel to other Asia Pacific islands from Tokyo is both convenient and relatively inexpensive. But as a low-paid English teacher, I haven't always had that many funds to travel outside of Japan. Within the past several years, however, I've fortunately managed somehow to take advantage of frequent flyer miles, special airfare campaigns, and the occasional discount tour package to travel to some very awesome destinations in the Asian Pacific islands. 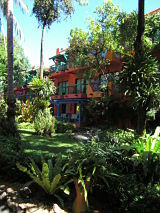 In short, Tokyo, Japan has proven to be a very convenient launching pad for other exotic Pacific island travel locations in Asia, including Cebu, Philippines, Koh Samui, Thailand, Palau, Guam, Saipan, Langkawi, Malaysia, Phuket, Thailand, Fiji, Cook Islands, Boracay, Philippines, Ao Nang, Thailand, and Pattaya, Thailand (pics/video). Below, you will see some of the places I've had the pleasure of traveling to. The first exotic Pacific islands travel destination I'd like to share info about is Cebu, Philippines. I was blessed to have observed SO much beautiful scenery there.....both natural and human. Click on the following link to view more details on my Cebu, Philippines travel. 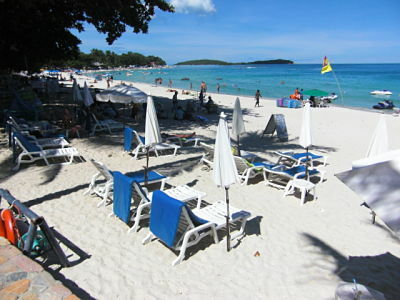 The next exotic Pacific islands travel destination I'd like to talk about is Koh Samui, Thailand. For most of my adult life, I've always dreamed of retiring someday on a remote Pacific island with white sand beaches, crystal clear blue water, palm trees, and pretty women. Koh Samui is not only my favorite Pacific island so far, but the scenery and ambience there are the closest to what I've always had in my mind for the ultimate Pacific island paradise. The picture below should help prove my point. And I can't wait to tell you more about it. 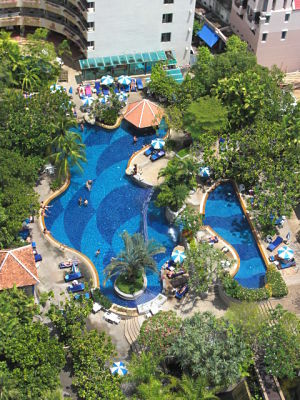 Click on the following link to view more details on my Koh Samui, Thailand travel. It's surprising how many people have never even heard of this place. What a shame. If you're a diver, you probably HAVE heard of it and maybe even have it on your Bucket List, as it's arguably one of the most spectacular diving spots on God's green Earth. I'm not a diver, but that didn't keep me from having a wonderful time in this Pacific island paradise. As you can see above, Palau is a pretty green and lush place. Click on the following link to view more details on my Palau travel. Guam was the first stop on my Pacific island tour back in March 2007. I can't wait to tell you all about it. You're gonna fall in love with this place. But please go soon, because the U.S. military plans to relocate 20,000 marines and their dependents here from Okinawa, Japan within the next few years. 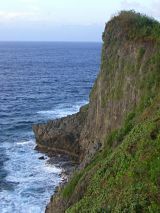 Who knows for sure what kinds of tourism and environmental impacts this will cause, so I recommend you visit Guam ASAP. 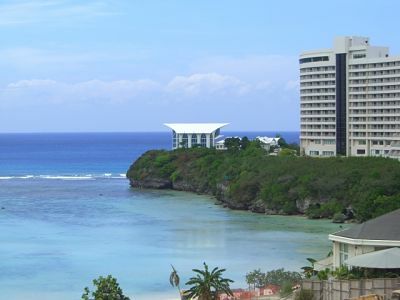 Like Hawaii, Guam is a popular choice among young Japanese couples for their wedding place. Accordingly, a number of the large Guam hotels have wedding chapels on-site. Please click on the following link to view more details on my Guam travel. Saipan was the 2nd stop on my Pacific island tour in November 2007. Because of a reduction in airline service to this island, besides the more expensive direct flights, it can be a bit troublesome getting there having to transfer in Guam or Seoul, but it's definitely well worth your efforts. Very sad World War II history, but some of the most beautiful scenery and most heartfelt friendly and cordial hospitality industry staff you'll encounter anywhere. Trust me. 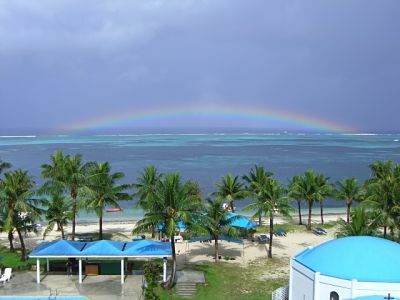 Please click on the following link to view more details on my Saipan travel. It's still a mystery to me why I never even heard of this place until about a month before I actually visited Langkawi. This place is becoming more popular among Japanese tourists and so there are ample tour packages available these days for travelers from Japan. 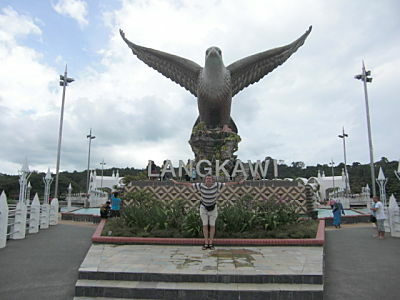 Langkawi, which means "reddish brown eagle" in the colloquial Malay language, is a cluster of 99 exotic tropical islands in far northwestern Malaysia which has been designated a World Geopark by UNESCO. Langkawi offers secluded coves and long stretches of white sandy beaches. Washed by the calm turquoise waters of the Andaman Sea, the islands are covered with age-old rainforests and home to a rich diversity of flora and fauna. In short, it's probably one of the best kept secrets among the most beautiful Pacific island destinations available for your vacation travel. You definitely owe it to yourself to have a quick look at the special page I've compiled showing my 98 photos, 14 videos, and sightseeing descriptions of my Langkawi, Malaysia travel. It was great to travel back to Phuket after such a long absense. My first visit there was in April 1996 (pre-Indian Ocean earthquake and tsunami in Dec. 2004), so indeed a lot had changed as of this March 2012 trip when I finally got to go back. To be honest, I didn't see any remaining damage from the catastrophic quake/tsunami that killed nearly 5400 people in Thailand, 250 in Phuket alone. In fact, Thailand's largest island is clearly booming economically, and overall, despite sometimes getting a little irritated with some of the street vendors, I must say that was good to see. Since my visit to Phuket, I have struggled with whether I liked it better than Koh Samui, Thailand, and haven't come up yet with a decision, but they're both without question must-see Pacific island travel spots. I hope you have time to check out the pics, video, map, and my story on my Phuket, Thailand travel page. 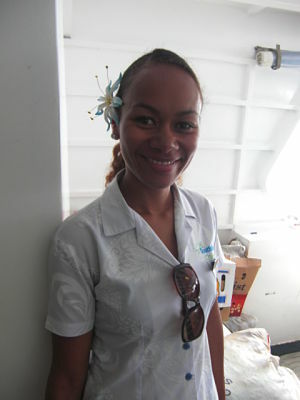 I'd been itching to travel to the South Pacific islands for several years, and in February 2013 I finally got my chance. 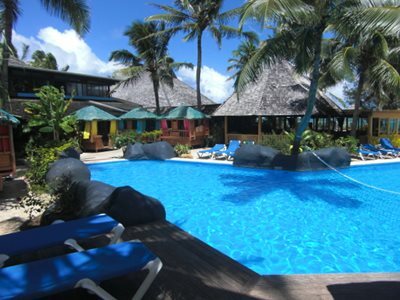 For my 1st ever visit to the southern hemisphere, I chose Fiji... for a number of reasons. For one, English is their primary language... after all, they were a British colony for nearly a century. Secondly, I read on a number of websites about how very friendly and hospitable that the Fijian people were. It's TRUE! I hope the pic below lends a little credence to my story. I was very touched by the unbelievable warmth of the wonderful Fijian people! If you should ever have any interest in traveling to the beautiful South Pacific island nation of Fiji, you might enjoy reading my Fiji Travel page with a day-by-day account of the magical 6 days I spent there, including my pics, video, & map. Enjoy! Okay, to be perfectly honest, I'd never even heard of the Cook Islands before I booked my airline ticket for this trip. Sure, I'd heard of Capt. James Cook, the famous 18th-century British naval officer after whom New Zealand's tallest peak is named, but not the islands themselves. Capt. Cook is credited with being among the earliest Europeans to explore and map Hawaii, Australia, New Zealand, Tahiti, the northwest coast of North America including Alaska, and a number of other Pacific islands, including, you guessed it, the ones now named in his honor, the gorgeous Cook Islands. So it was a very nice surprise to learn of this tropical South Pacific paradise, which was a great escape for me to get away from Tokyo's bitterly cold winter, with record snowfalls in Feb. 2014. The Cook Islands are actually a chain of 15 islands, but I just visited the main island, Rarotonga, where the international airport is located. Besides the white sand beaches, coconut palm trees, and beautiful azure-colored ocean which most people will picture in their mind when they think of the South Pacific, Rarotonga, which is less than 7 miles (~11 km) across, also features 600-m-tall (~2000 ft) peaks surrounded by lush jungles and a cross-island track, which I chose to hike from sea-to-sea. When you get a chance, I hope you will have a chance to visit my Cook Islands Travel page, and check out my 253 pics, 1-hour video, map, and story. And by all means, put the Cook Islands on your Bucket List!! If you can imagine combining the party hearty atmosphere of Las Vegas with the tropical beauty of Hawaii, you get Boracay, the crown jewel of the Philippines' tourism industry. 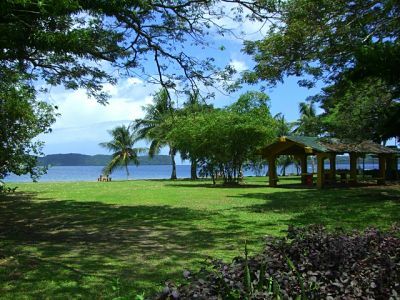 I was turned on to this beautiful tropical paradise over a decade ago by an old Japanese girlfriend, who I believe, after having already made 3 visits at the time, considered Boracay to be the best place on the planet. Well, I was skeptical all these years, but after finally visiting Boracay in February 2016, I must say there was no hype. I enjoyed ziplining, parasailing, hiking, swimming, shopping, sampling cuisine from all over the world, the sunny, warm 26° C (79° F) weather (a nice escape from the bitter, freezing cold Tokyo winter! ), White Beach (voted in 2015 by Trip Advisor as the #1 beach in Asia), and of course, Boracay's famous all-night, drink-and-dance-till-you-drop nightlife. My 7 days in paradise were WAY too short, but a seed was firmly planted and I'll definitely be going back someday. If you get a chance, you might enjoy my 226 Boracay pics, 59-min. video, maps, and of course MY STORY! By all means, be sure to read more about my amazing Boracay, Philippines travel adventure. Because of some absolutely beautiful photos posted by a Facebook friend on his Timeline several years ago, in my 4th visit to Thailand in February 2017, I chose Ao Nang Beach in Krabi Province. 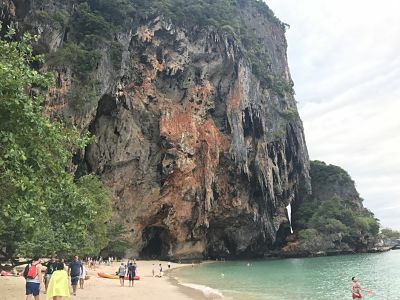 One of the most exciting things I saw the entire week was the beachside stalactite cliffs just outside the cave on Phra Nang Beach. This was part of a 4-island, long-tail boat tour I took, which included nighttime snorkeling to observe bioluminescent plankton, the first such experience in my life. Wow! I also had the opportunity to climb the highest peak in the area, Ngorn Nak Mountain. It was a fairly easy, 2-hour trek, gaining nearly 500 meters in elevation, with breathtaking views of the Andaman Sea and much of Krabi Province from the summit. I hope you enjoy my pics and video on my Ao Nang webpage linked below. In my video, don't miss out on the beautiful time-lapse sunsets, the 4-island boat tour, my hike up Ngorn Nak Mountain, the rock climbers on East Railay Beach, fire dancers at the Golden Beach Resort, live music, and even an English-speaking talking bird! It was a great trip and I'll definitely be back. I was very touched by the unbelievable, heartfelt hospitality of the wonderful Thai people! My hope on this page is to continue sharing my stories, pictures, and videos of other exotic Pacific Island travel paradises as I get a chance to visit them. In the future, please stay tuned to this Pacific Islands Travel page as I update the linked travel pages with more details on some of the most spectacular scenery you can expect to see anywhere on the planet. And hopefully my tour of gorgeous Pacific Island destinations will not end anytime soon. For Trip #12 to Pattaya, Thailand in February 2018, I got lazy and didn't bother preparing its own special travel page, but by all means please have a look at my Pattaya pics and video when you get a chance.